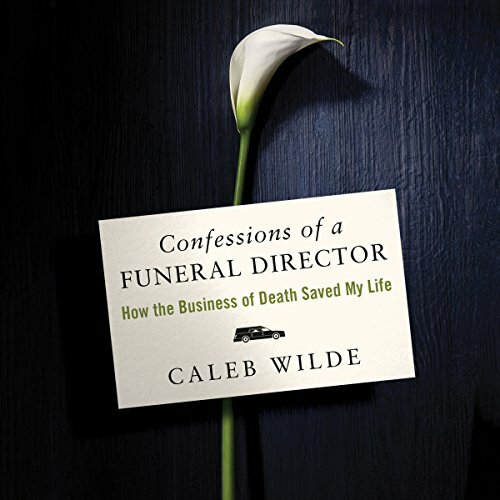 A sixth-generation funeral director and writer of the popular "must read" (Time magazine) blog Confessions of a Funeral Director reflects on mortality and the powerful lessons death holds for every one of us in this compassionate and thoughtful spiritual memoir that combines the humor and insight of Smoke Gets in Your Eyes with the poignancy and brevity of When Breath Becomes Air. Death. It happens to everyone, yet most of us don't want to talk about this final chapter of existence. Sixth-generation funeral director Caleb Wilde intimately understands this reticence and fear. The son of an undertaker, he hesitated to embrace the legacy of running his family's business. Yet he discovered that caring for the deceased and their loved ones profoundly changed his faith and his perspective on death - and life itself. "Yes, death can be bad. Yes, death can be negative," he acknowledges, "but it can also be beautiful. And that alternate narrative needs to be discussed." Confessions of a Funeral Director is the story of one man learning how death illuminates and deepens the meaning of existence - insights that can help us all pursue and cherish full, rich lives. I've been reading Caleb's blog for years and the best thing about his writing is his honest and true voice. Like your college buddy telling you what it's really like in his job. All the inside jokes, backstage humor and the real thoughts that go through his head. I have seen Caleb's pictures and watched his TED Talk. He's a regular guy. And this book is a very accurate picture of his life. It's a good story. Then Why Oh Why does the producer of the audio book have to choose some low baritone slow talker for a narrator. That is not Caleb's voice. It's soooo stereotypical of the entertainment field to think that funeral people all talk in low, slow, hushed tones. We don't. We tell jokes and laugh and have fun just like everyone else. A younger, regular sounding narrator would have made the book so much better. I absolutely LOVED this book. It was moving, full of emotion and inspiring for all those in this career or headed down that path. Highly recommend to anyone! This was a profound look at the death industry. At how we treat death in our society and how we can learn from that negative place death is always at. The author found so much of himself by returning to his family business. He shares with us his journey in hopes we can learn from death too. This is an amazing rumination of the beauty found in death. Humanism, spirituality and the hope of an afterlife questioned and reconciled to astonishment of the beautiful macabre. If I had not listened to it I don't think I would've been able to finish the book. Parts of it it sounded redundant. Otherwise informative. The author helped me to understand some of my own feelings about death. It’s nice to hear funeral director that can be so open and honest, most that I’ve come across are not. I am a hospice social worker and found this book so inspiring. Thank you Mr. Wilde for this beautiful memoir! Down to earth and from personal experience, Caleb shares what he has gone through, which in turn helps future Funeral Directors get a glimpse of some of exactly what Death Care entails. Very good book. Really interesting book, fascinating insight into things we don’t nornKky get to learn about, and absolutely brilliant, almost poetic, writing. Highly recommended.